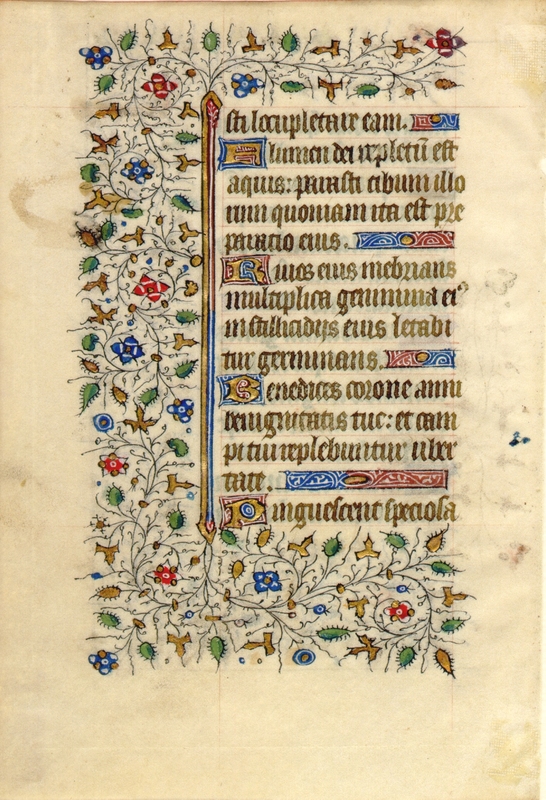 Text: This leaf contains text from the Office for the Dead at Lauds, specifically Psalms 64. A scan of the verso is not currently available. Flumen Dei repletum est aquis: parasti cibum illorum, quoniam ita est praeparatio eius. Rivos eius inebrians multiplica genimina eius: in stillicidiis eius laetabitur germinans. Benedices coronae anni benignitatis tuae, et campi tui replebuntur ubertate.